What do you we use to clean your Windows? 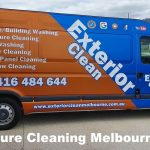 What types of Window Cleaning service do we offer? Every house in Lynbrook is unique, give us a call & we will offer a FREE quote.